There will be a mouth-watering array of food and drink from some of the best Welsh producers in Lord Foster’s Great Glasshouse this coming weekend – January 19-20. There’s no better way to cheer up the very long, grey month of January than with a food fair. And this will be a very tasty affair with lots to choose from including the producers of the Best Wine in Wales, Llaethliw Vineyard, plus the perfect tonic of a range of flavoured gins, meat and gluten free, too. Whether you have a thing for fudge, cheese, cider, biltong or liqueurs, this will be the place to be. Garden admission is just £4. The gates open at 10am and close again at 4.30pm (last entry 3.30pm). There’s no additional charge for the Food Fair and there is plenty of free parking for everyone. For more information about this and other Garden events, email info@gardenofwales.org.uk or call 01558 667149. Looking for inspiration to maintain your new year fitness regime? 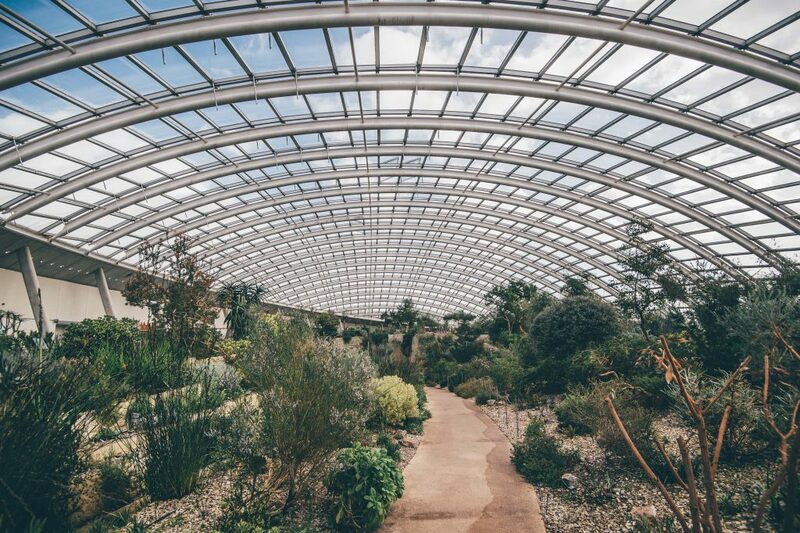 On three Friday lunchtimes in January, Growing the Future is hosting a series of talks in the Garden starring inspirational women in horticulture, covering aspects such as their career journeys and horticultural interests. Learn more on the scientific research and horticultural developments within the Botanic Garden with introductory talks by Garden science and horticulture staff. Enjoy this FREE series while also taking advantage of FREE Garden entry during weekdays in January. On January 18 at 12pm the talk will be ‘Plants First’ by Sarah Price. For more information click here. To book your place, please visit the Garden’s Eventbrite page. A vast cornucopia of curios and collectables is set to transform the National Botanic Garden of Wales – as the Derwen Antiques Fair prepares to return. The Garden and the fair are open from 10am to 4.30pm (last entry is 3.30pm). Admission to the Garden is only £4, with free parking.